Do your production needs change? Have the flexibility to adjust the number of workers you need when you need them! Our extended hours of operation allow us to be the most responsive temporary staffing service available. For last minute orders, adjustments to standing orders, or simply responding to concerns, calls are handled by our trained personnel. We are on call all other hours, including weekends. We’re working when you’re working. We handle the hiring process from start to finish for you and according to your specifications! We’re responsible for advertising, recruiting, interviewing, hiring, and terminating of workers. In short, we provide your complete temporary personnel management. This enables us to supply the quantity and the quality of workers to meet your production needs. Imagine the time and money you will save not having to deal with those claims! Forge is responsible for all insurance and claims for our workers. Working with Forge allows you to evaluate worker(s) before hiring in permanently. 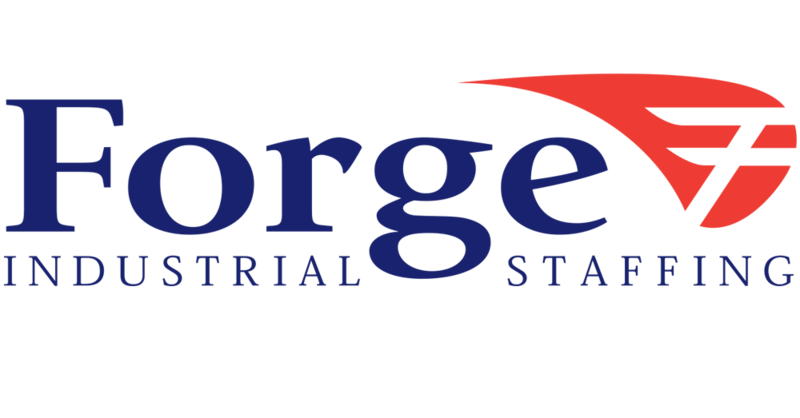 Forge Industrial Staffing will make sure you are satisfied with our workers’ performance. We will replace any worker who does not perform to your specification. Forge’s committed staff is specifically trained to handle industrial workforce needs. We concentrate our efforts on recruiting and selecting talent that matches your hiring specifications. “Relationships like this are what true partnerships are all about.” ~ Ann T.
“Forge knows what our needs are and can get us temporary help quickly.” ~ Reggie V.
“In the 3 years Forge has been our primary service, their staff has continually proven to be extremely professional and personable, with excellent follow-up and communication skills…” ~ Gary B.